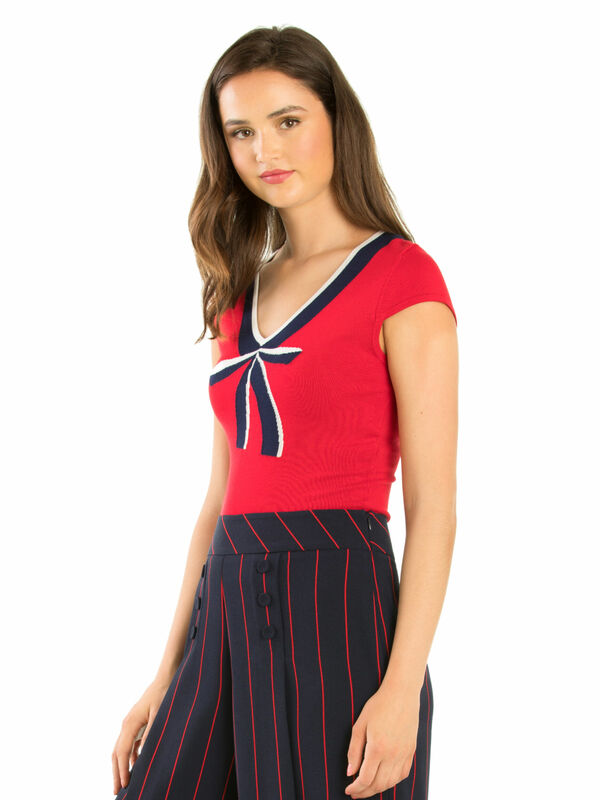 Candice Knit Top https://www.review-australia.com/global/candice-knit-top-red/RE19KW073.RERED087.html Stretchy, fitted materials provide the backdrop for a fun bow finish with this Candice Knit Top. Featuring a low v-neckline and cap sleeves for an everyday look which is anything but boring. The design is so versatile that it can be worn with both high waisted jeans and mid-length skirts. Worn with Anya Culottes and Brenda Heels. 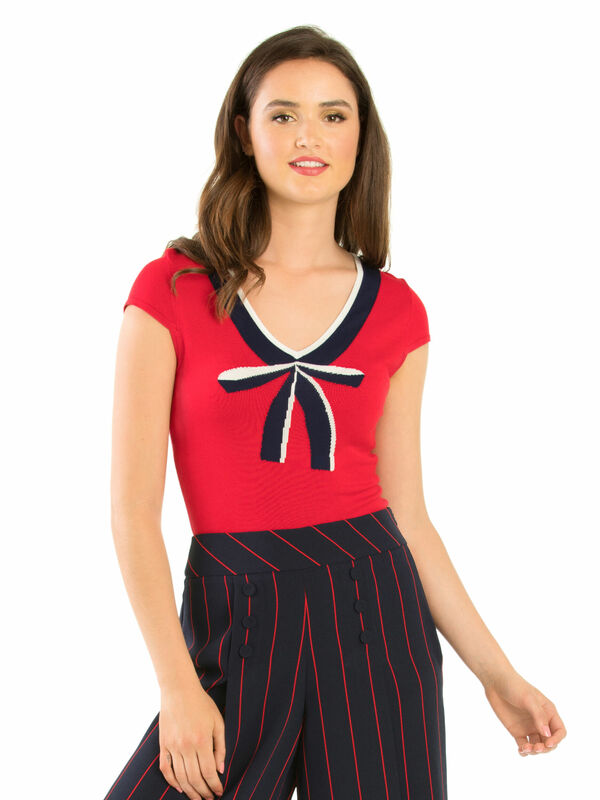 Stretchy, fitted materials provide the backdrop for a fun bow finish with this Candice Knit Top. Featuring a low v-neckline and cap sleeves for an everyday look which is anything but boring. 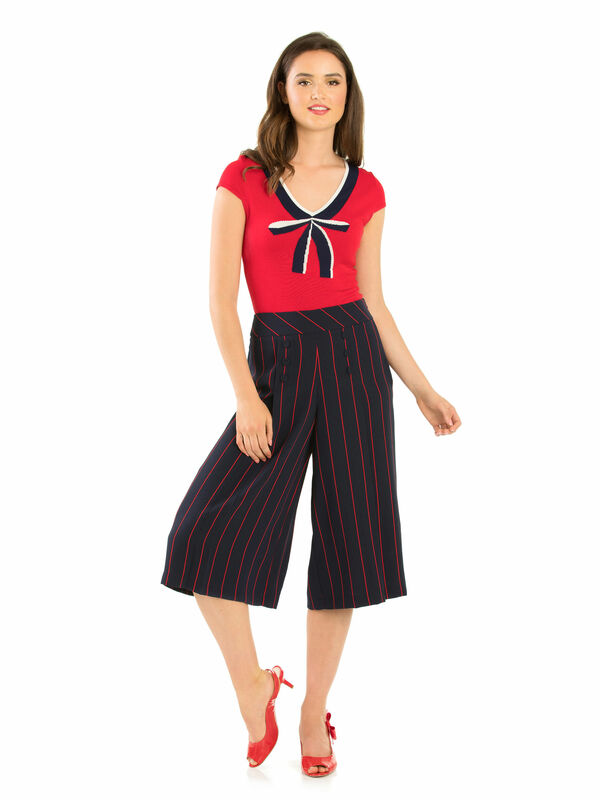 The design is so versatile that it can be worn with both high waisted jeans and mid-length skirts.